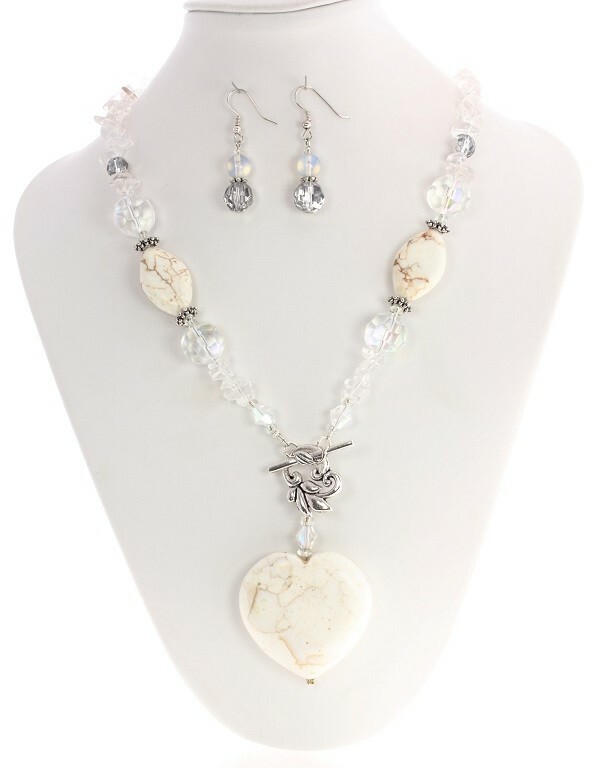 ‘Love Cast in Stone’ Magnesite & Crystal Semi Precious Stone Heart Necklace with decorative center silver-dipped Clasp. This Semi Precious Stone Necklace was named our ‘Love Cast in Stone Necklace’ due to the Gemstone Heart Pendant used in this pretty design. The Clasp is decorative and resembles a pretty curved leaf that opens and closes in the center front of the Magnesite Gemstone Heart Necklace.